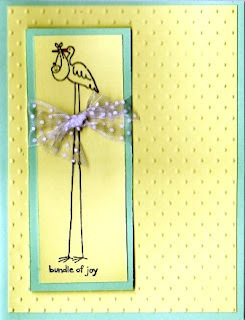 Quick and easy baby card. The yellow layer went through the cuttlebug, swiss dots folder (one of my favourites). Sheer polka dot ribbon to match.